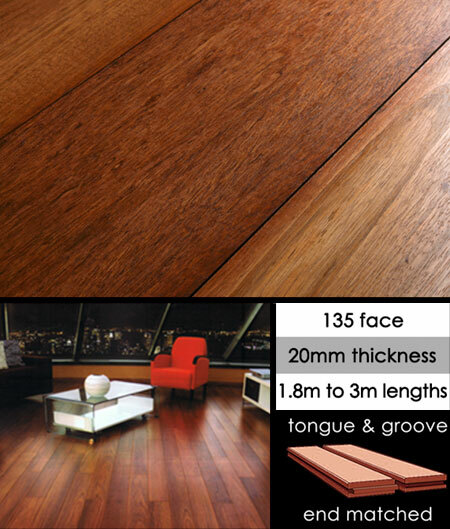 Jatoba is a reddish brown exotic hardwood that is well know for its density and hardness. This contemporary looking wooden floor is used a lot in modern interior design. Jatoba flooring is kiln dried and is supplied with a tongue and groove on all 4 edges allowing for quick and easy installation with reduced wastage. 135mm x random lengths to 700mm average. * A very hard wood. * For traditional hand finishing.